If you are one of the category winners (with the exception of Community Award category winners, which is area only), you will be invited to attend the sparkling UK Final in London on 23 May at Battersea Evolution. Here the UK category winners and FSB Business of the Year 2019 will be announced. The formal awards dinner on the evening of the final will be a sell-out, attracting over 500 guests, made from area winners, the judges, sponsors, media, MP’s and industry business leaders. It will be an incredible night of celebration and recognition. The UK-wide search to find the ultimate small businesses will enter its next phase when more than 100 outstanding area and devolved nation award-winning small businesses will compete at the FSB Celebrating Small Business Awards 2019 UK final on 23 May at Battersea Evolution. This follows an exciting season of area and devolved nation award finals that took place from January and culminated in London on 17 April. 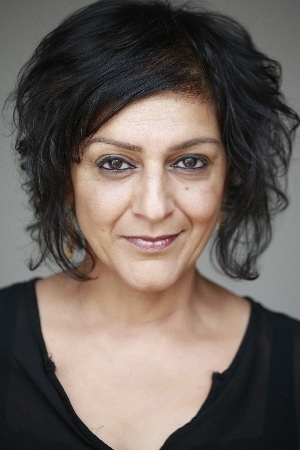 Ten award category winners from 12 UK areas/devolved nations now look forward to attending a lavish and special UK final awards event on the evening of 23 May hosted by writer and actor Meera Syal CBE. The event will start with a sparkling drinks and canapé reception followed by a delicious three course dinner and coffee served whilst the awards are made. Here, the UK’s best businesses will be announced – from start-up to scale-up, and from family business to young entrepreneur. The FSB Small Business of the Year 2019 will be announced and awarded. The annual awards, run by the Federation of Small Businesses (FSB), celebrate and recognise a sector that makes up 99.9 per cent of all private businesses in the UK and contribute £1.9 trillion to the economy. The 5.6 million small businesses and the self-employed in the UK contribute so much to our economy and our communities. In 2017 FSB launched the Celebrating Small Business Awards to recognise the best, most innovative and most determined of these, from every sector, industry and background. Recognising the huge value that being a finalist or a winner can bring to their businesses and teams, more than 2,000 businesses entered the 2019 awards. The 2018 FSB Small Business of the Year winner was scale-up superfood brand Creative Nature from Surrey. Entry into our 2019 awards is now closed but entering the FSB Celebrating Small Business Awards is easy. The awards are free to enter and are open to all smaller businesses and the self-employed, whether they are current FSB members or not. Our 2020 awards will be open for entry this Summer. We encourage you to read our Hints and Tips document and Frequently Asked Questions. When are the closing dates for the Awards? To find out if you are eligible, please register to give you access to all criteria for each category. Businesses must have less than 250 employees (10 for the Micro Business category). Businesses must be based or have their head office in the UK to apply. No, entry is free. To attend the area awards final there is a charge of £45 which will cover a two course lunch, drinks reception and one glass of wine or soft drink. If you are successful in reaching the UK finals, you would receive one complimentary ticket. Additional tickets can be purchased. You are only permitted to enter into each category once but may enter as many categories as you so choose, provided that the entry criteria for each category is satisfied. There is the ability to upload video links (not video files) and other supporting documentation. There is a 1mb limitation on logo size. Any further limitations will be stipulated at the relevant entry point. How do I classify the number of employees I have? The total number of employees you have should be based on full-time equivalents. Our judges bring industry knowledge and category specific skillsets to assess every entry enabling us to maintain the high standard of the awards. Your entry can be changed, by you, at any stage before the closing date for each Area award. When will I know if I have been successful in reaching a Final? Applicants who are successfully shortlisted as Area category finalists will be invited to attend the Area category final. When will I know if I have been successful in reaching the UK Final? Area category winners will automatically go forward to the UK Final (bar Community Category winners which are area only). When is the UK Final? The UK Final will be held in London on 23 May 2019. Further details on this event will be provided in due course. What time is each Area Final? Each Area Final will commence at 12 noon and finish at approximately 4pm. Further information can be found on each Area Final page. What is the cost to attend an Area Final? To attend the area awards final there is a charge of £45 which will cover a two course lunch, drinks reception and one glass of wine or soft drink. If you are successful in reaching the UK finals, you would receive one complimentary ticket. Additional tickets can be purchased.